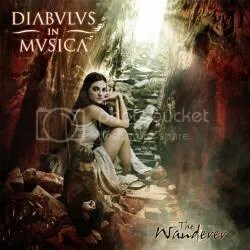 The Spanish masters of Symphonic Metal, DIABULUS IN MUSICA, finally release their next masterpiece entitled “Dirge For The Archons”: Elegant grandeur with a metallic punch! An extraordinary ability to merge metallic heaviness with symphonic catchiness! 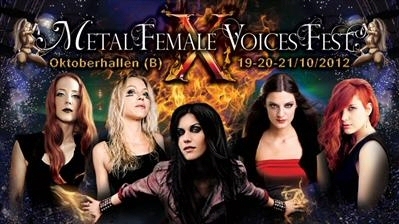 The fantastic female vocalist Zuberoa Aznárez and her band members masterfully combine heavy Metal riffs, a pounding rhythm section with passionate and symphonic elements. The compositions are crowned by wonderful refrains, which will grab the listener’s attention at the first spin of the record. “Dirge For The Archons” available as limited 4 Page Digipack & 2 Bonus track edition. Pre-Orders will be up and ready soon! “Dirge For The Archons” out on November 18th 2016 via Napalm Records! More info and details on the upcoming album as well as tour dates will be announced soon! Recently the band has signed a contract with NAPALM RECORDS for releasing their forthcoming album, “The Wanderer” which will be released on March 5th.